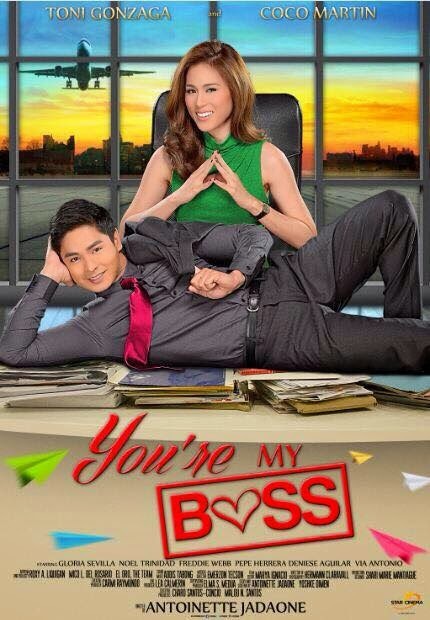 Home / FILM POSTERS / MOVIE TRAILERS AND INFO / Coco Martin and Toni Gonzaga in "You're My Boss"
Coco Martin and Toni Gonzaga in "You're My Boss"
The official romance summer movie of the Philippines: #YoureMyBoss! April 4, 2015 in cinemas nationwide! Watch the official teaser trailers released by ABS-CBN Film Productions Inc. (Star Cinema) for the most awaited summer movie of 2015: Coco Martin and Toni Gonzaga in "You're My Boss"